At the start of your attack step, take control of an opposing character with a level lower than one of your characters. Attack with it. Instead, take control of an opposing character with an equal or lower level. There is no controlling die when Possession is used but feel free to use the Possession basic action die as a reminder that the effect is active (the basic action die would otherwise be Out of Play). When Possession is used to take control of and attack with an opposing character who goes unblocked, the controlled die goes to the owner's Prep Area. ^ Possesion. Wizkids Rules Forum. Retrieved 7-24-2015. ^ Possession character unblocked - where does it go?. Wizkids Rules Forum. Retrieved 7-20-2015. 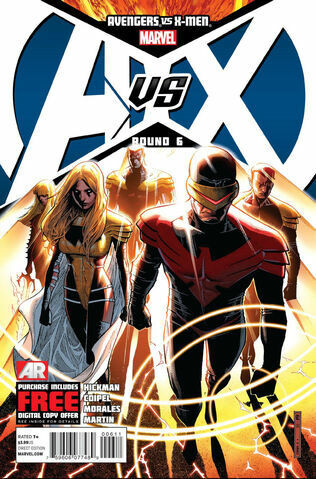 ^ Avengers vs. X-Men Vol 1 6. Marvel Database. Retrieved 7-15-2015.